Recently on a trip to Texas, I was stunned by the sight that greeted me as I entered my hotel to check in. Two real ceiling height trees draped with lights framed the reception desk. And that was just one aspect of the lobby’s whimsical, residential deign. Lounge chairs, high top tables, booths, and easy access to power made the hotel lobby not just a beautiful reception space, but a functioning space for guests. In fact, other than the trees, the space reminded me a lot of our Boston WorkLife. Hospitality design, just like office design, has changed drastically over the past decade. Previously, hotels took design inspiration from their personal brand and the theme they wanted to convey. Today, they design for the people that visit their space. We can see this change very clearly in today’s restaurants and hotels. Hospitality design doesn’t just create a space, it creates an experience. Guests take Instagram pictures under neon signs and use cafés and lobbies as places to work or socialize, not just as places to wait. People value the quality of a space over the size- They prefer a space that is fun, casual, and comfortable – more boutique-like. And we can see this preference illustrated through the fact that boutique hotels are quickly becoming the fastest growing segment in the hospitality industry. As you can see from my experience in Austin, bringing the outdoors in has become a huge principle in hospitality design. Hotels have moved beyond just vases of flowers and have begun to create entire atriums in their spaces. 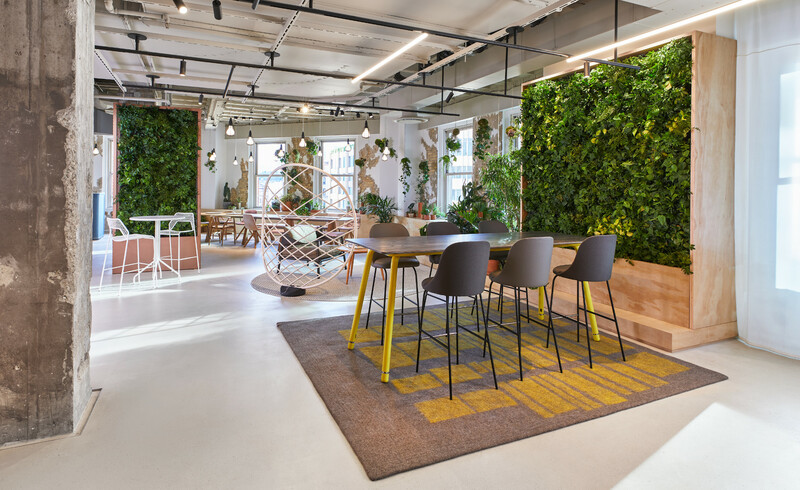 Workplace design has followed suit, adopting biophilia to reduce stress and help promote renewal at work. Unlike in the past where hotels created stereotypical themes around their locations, today they focus on creating authentic environments inspired by the local culture. This trend is now very prevalent in office spaces. 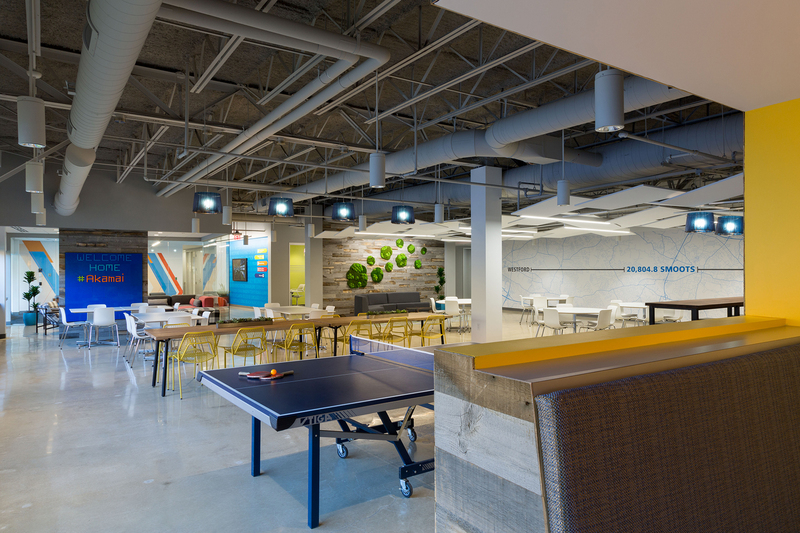 Companies want to create environments that pay homage to their community. At Akamai’s Westford office, unique signage in the Central Hub using the “smoot” unit of measurement (a non-standard, humorous unit of length created as part of an MIT fraternity prank) illustrates the distance between Westford and Akamai’s Cambridge office, and pays homage to the founders’ background at MIT. Flexible, multipurpose rooms with ancillary furniture offer people a comfortable space to connect. Think of the spaces you see in a hotel that don’t generate revenue like the bar or café would. These spaces are for connecting with other guests and socializing. This idea has been implemented in the workplace to encourage collaboration and more social connection. Hospitality design has really gone through a dramatic contemporary overhaul in the past decade. Ostentatious décor has been replaced with a simpler, timeless look. The hotel bar is no longer where you’ll find lonely travelers, but groups of people socializing. 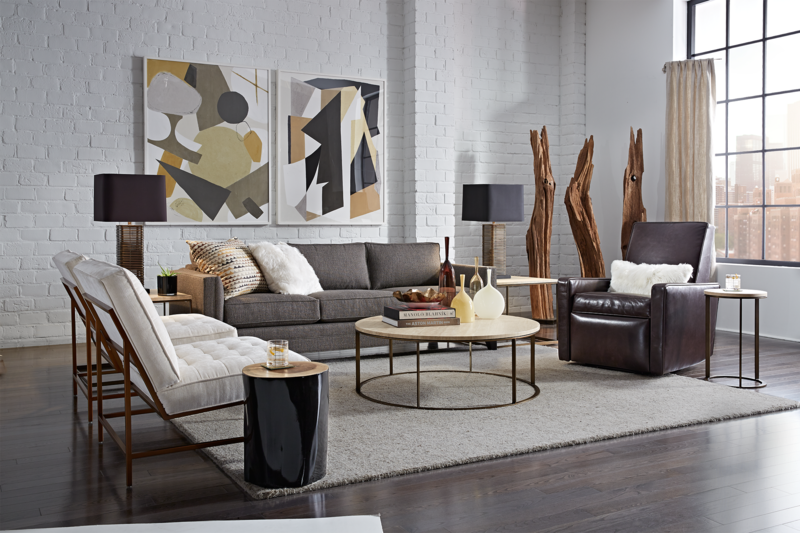 The warm, comfortable environment leads to more guests wanting to spend time in these spaces. The same is true in office design. 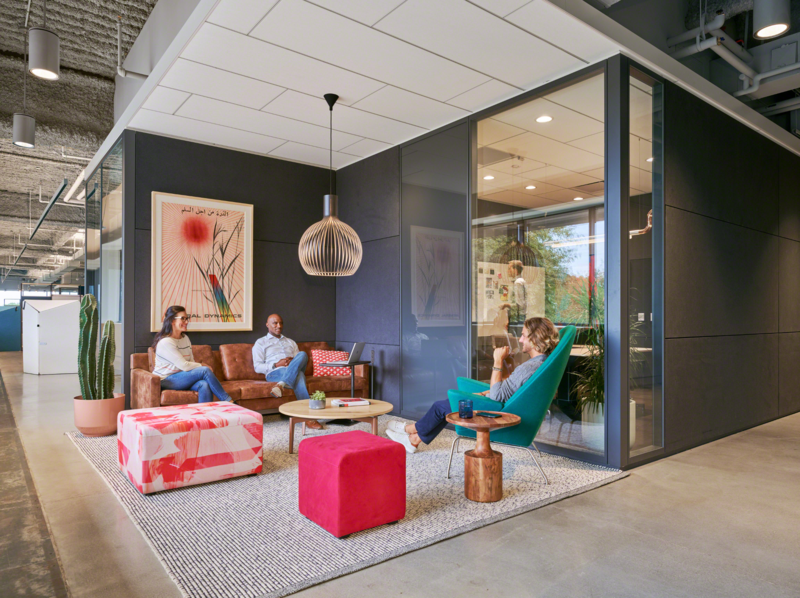 As more residential furniture and fewer corporate finishes are introduced in the workspace, the more enthusiastic people are about coming to work. Residential design helps create inspiring places that people enjoy working in. What other trends have you noticed overlapping in hospitality and office design? Hospitality brands will continue to tap into art and culture to break the mold, creating differentiated services and travel experiences.Changes in hospitality design are coming quickly, too. Keep an eye on this space for more thoughts and predictions for the industry.